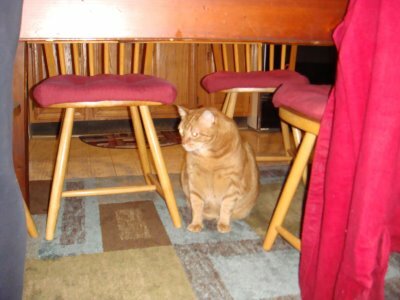 I can’t say where… but at a family member’s house in NJ, there lives a VERY large cat. 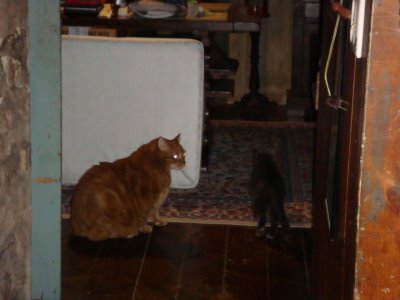 These pictures cannot even come close to exhibiting just how large this cat is. He is tall, long, has huge feet and a rather large amount of “skin” that hangs from his belly. 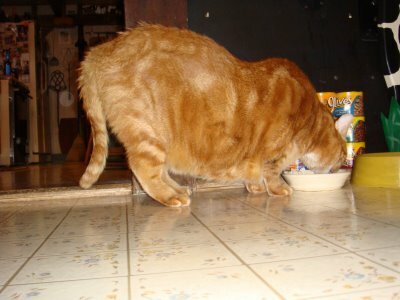 In my opinion… this cat is morbidly obese. 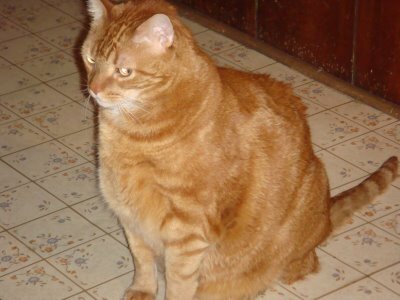 In his owner’s opinion, he is not even remotely fat. 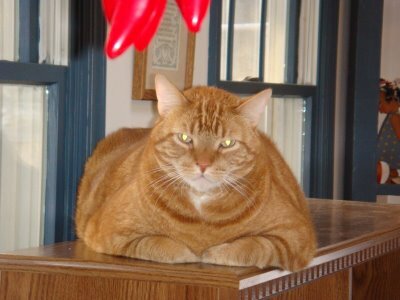 In fact, “he hardly eats” and his vet has assured his owners that he is not fat. YOU BE THE JUDGE. So what do you think? Feel free to express yourself with a comment… or better yet… participate in my blog poll to the left.